One of the boys, then five, was hooked enough to spend the rest of his life making repeated trips. Rafique Bagdadi, now a noted film critic and one among Mumbai's best-known amateur historians, is brimming with stories of the glorious days. "Going to Regal was like going to Rome or another European city. Behind it was the Taj Mahal hotel. In front of it stood the majestic Cowasji Jehangir Public Hall, which is now the NGMA. The insides of the theatre were as dreamy as the set of Hollywood films screened here," he says of the Art Deco architecture style that Regal shares with other South Mumbai cinemas like Liberty and Eros. Inaugurated on October 14, 1933 by Mumbai governor Sir Frederick Sykus, Regal was built by film exhibitor Framji Sidhwa and his friend KA Kooka. And it had quite a few firsts to its credit. 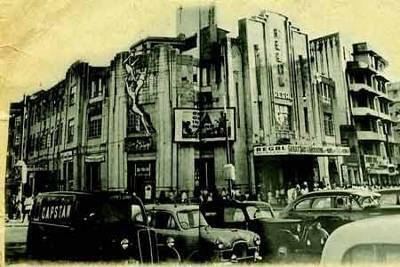 Asia's first centrally air-conditioned theatre, it was also the first to introduce Cinemascope and offer basement car parking to its patrons. The reinforced concrete structure built at a lavish cost was conceived by Charles Stevens, son of famous 19th century English architect Fredrick Williams Stevens, while the interiors were designed by Czechoslovakian artist Karl Schara. Old-timers remember the sun ray Cubist motif in orange and jade green in the atrium. For Deepak Rao, retired IPS officer and member of the Bombay Local History Society, Regal stands for an afternoon Arlem beer. While working at the Mumbai police headquarters across the road from the cinema, he'd hop over to its refreshment room that could house no more than six guests. Regal's historic value precedes its construction, says Rao. "The lane behind Regal is not named Battery Street for nothing. 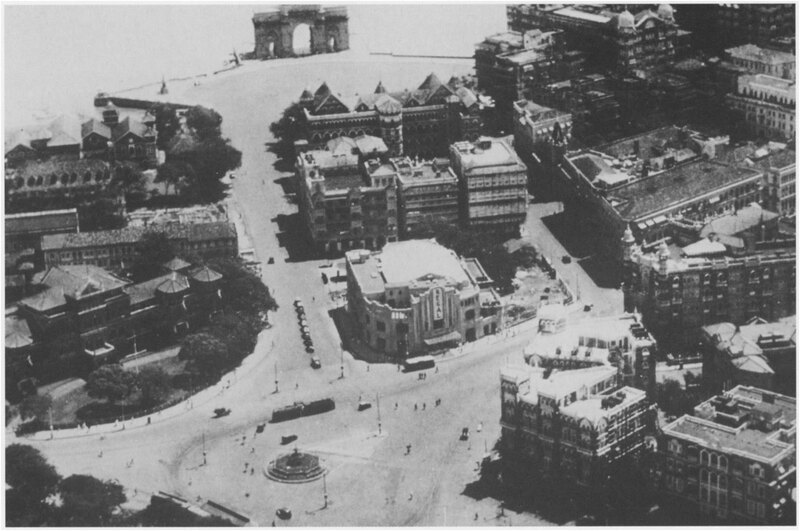 The site at Apollo Bunder on which the cinema stands was owned by the British army, and was occupied by an old saluting battery. When viceroys and VIPs arrived, they were greeted with a gun salute. The British government decided to lease the property in 1926, which is when it was acquired by Mr Sidhwa and Mr Kooka of Globe Theatre Ltd.," says the 62-year-old. Sidhwa’s life, say documents, was as dramatic as the movies he screened. Born in 1883 in Tarapore, Gujarat, in a middle-class home, he moved to an orphanage in Parel before gaining admission to Bharda New High School, which stands right beside the theatre he would build in 1928 — Capitol at VT. The student of St Xavier's College had to drop out due to thinning finances and move to Rangoon in 1903 to find a job. Starting out as a clerk in Singer, he later took up an insurance job. "Behram Contractor, in one of his essays, said going to the cinema was an art," says Rao. And Regal played its part. Baghdadi calls it an "experience" — South Bombay movie lovers would book tickets way in advance, dress up in finery and land up at the movies. "There was a soda fountain, a pantry for balcony audiences, and we'd dig into ice cream while musicians would perform live," he shares. Social worker, champion bridge player and MP Milind Deora's mother Hema Deora's memories of Regal stand testimony to Baghdadi's description. As a 10-year-old in the early 1960s, Deora didn't understand cinema, but that hardly mattered. "For me, the draw was the ice cream served in the cinema's restaurant. The cup resembled a wine glass. It was a family affair. I'd wear my best dress, and we'd return home in a Tonga," Deora reminisces.